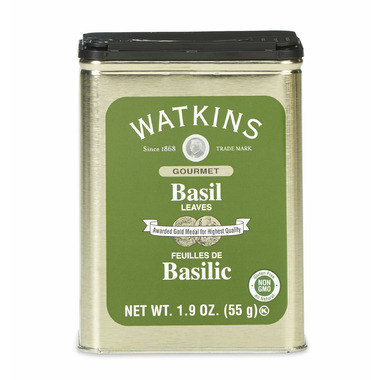 J.R Watkins Basil Leaves is a must have with your homemade tomato sauce. Better keep the tin on the counter just in case because you'll likely need it with your salad dressing too and many other dishes. It also enhances flavours in meats and seafood! The flavour of basil is often described as bold, sweet, anise and clove- like. I love Watkins spices. Wish they had even more. The quality and taste are the best.